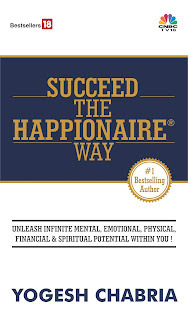 Yogesh Chabria - The Happionaire ​Blog - Best Motivational Speakers In India - Inspiration, Success: Is An American Recession Really A Global Recession? Is An American Recession Really A Global Recession? Recently Warren Buffett, one investor I follow, respect and admire, said that America was going through a recession. Personally I do agree that America is headed for some tough time ahead, not just because of economic mismanagement, but also due to the ongoing war it is engaged in. There are lots of hidden skeletons which are going to be unearthed soon. A few of my sources who are working with some of the (supposedly) world’s best financial institutions have confirmed my fears about America. Institutions which have always been held as the gurus of global finance are soon going to be headed for very difficult times. The losses which have been made are much higher than people can imagine. The main people who are going to be affected by this are American and other European institutions. I do agree that America and even places like Europe will see a slowdown and challenging times. But is this really a global recession? Is every other economy headed towards a depression? China, might be affected, as exports do contribute to a large part of its revenues. A few other countries that are dependent on America for exports might be affected too. But fortunately or unfortunately India still isn’t really a major exporter. People might say- we do export software, but today the Indian economy is not just dependent on software. And lately Indian IT companies are expanding operations away from software exports. With the domestic economy booming, India needs more software to support business. Many IT companies are in very good shape to capitalize on domestic IT demand. Today India is at the same point at which China was 10-15 years ago. We have just started out our economic progress and are still have a lot of growth potential ahead. I am confident with millions of wonderful people like you; we will make our dreams turn into a reality. In the short term, the Indian stock markets might face some volatility, but I can assure you that the actual economy is very strong and growing. The stock markets don’t always imitate the real economy in the short run. Maybe a few foreign funds/FIIs remove money in the near term. But eventually a lot of money is bound to come from retail Indian investors and also global investors later on. We today have some of the highest saving rates in the world. An America going through recession, might affect the stock markets in the short term and few exports, but it is not going to hamper the growth India is witnessing. Yes certain stocks which might have had speculators inflating prices, would correct. But companies which have fundamentally strong businesses are continuing to grow profits. I assure you that if you have an investment horizon of at least 3-4 years you will be glad that you invested in India, provided you invest in a company or sector which is not just ‘hot’ but fundamentally strong. One of the secrets to successful investing and creating wealth, is to invest when people are selling in a panic at depressed prices. People who panic and do ‘distress’ sales don’t care whatever price they get, as long as they get something. A smart investor will make the most of such opportunities and buy when very few buyers are their in the market. The value of your money suddenly goes up, when demand for a certain stock or asset falls. Thankfully this year we are going to have several mouth-watering investment opportunities thanks to an American economic slowdown. I am an eternal optimist and like looking at the bright side of everything. In fact several American assets are soon going to be purchased by funds based in the Middle East and Asia. Citi Bank already has major shareholders who are Middle Easterners. Some of the West’s largest and best known brands and companies are soon going to change ownership and this trend is just going to rise with a change in economic balance. As history has proven, no super-power ever remains a super-power for ever. Let us make the most of every opportunity and as they say make hay when the sun shines. Find Out If Other Happionaires Agree With Yogesh and His Post On Future Giants Here! Oh what a pleasant surprise. Just got to read your post before going to bed. It is very calming and peaceful what you write. Specially since I am a retail investor in the Indian markets. My companies have good fundamentals but prices have gone down due to correction. I think the best we can do is be calm and buy more as stock prices go down in the short term. I do hold some RIL. RIL is good Sudhir but from Yogesh's writings what I can take is that we need to look at the larger picture rather than just watching some guy on TV telling us to buy or sell stocks. It is a pleasure reading what you write my friend. Loved your article on Moneycontrol. You are truly India's financial guru! I wish the investment bank I worked at had more men like you. I'm based in New York and handle emerging markets but am originally from Bombay. Might be heading back, things in America no longer seem as attractive. I agree with you US, is finally going to face lots of problems. As you say Happy Wealth Creation! This is the first time I came to know about you through moneycontrol and read several of your blogs. I am must say that your way of writing is very encouraging and will be appealing to lots of people. I have one question though. In several of your blogs you have talked about companies with strong fundamentals. Can you please elaborate what do you mean by "strong fundamentals". If I have to analyze a company, what all do I need to see to judge whether the company has strong or weak fundamentals? Your guidance will be greatly appreciated. Yogesh, i am new to the blogging world but when i read your blog it was very enlightning and soothing. Keep up the good work men...appreciate it. I started investing in shares and MFs three months ago. While looking at the value of my investments now a days, I felt very sad and used to curse myself for my folly to arrive in this field. Your article filled me with confidence and I vow to follow your 7 advices. Thanx 4 this nice article. I really feel bad that India catch cold becoz the american's sneezes. This tells our immune system is very bad , so let us not blame the virus or the carrier. Its high time we collectively find a vaccine against this copy-cat virus else we will have to dance to every news virus (whether sub-prime or pub-prime) from america. If not now in the coming years let us teach america how to build a economically-immune society , which lives peacefully and also allows others to live peacefully. Deepak, I shall be sharing more ideas on how I select companies and what I mean by fundamentally strong. Once again these are just things that have worked for me and based on ideas which some of my favourite investors use. The best way to build a strong economy is to empower people with knowledge. Even today such a small number of people invest in Indian stock markets. Once more people become aware and invest FIIs won’t be able to play around with Indian investors. We have a lot of wealth which is locked up in things that are not so rewarding. I think with peace also comes economic prosperity. Sadly America does not understand this. Thanks Nikhil and Thankav. Interesting name Thankav, what does it mean? Thankav is the short name of my name. Not a russian name. thanx that u noticed my reply 2 blog. There's a lot of sense in your articles and there's going to be some turbulance in the American economy in the short to medium term. But there's something about America that ceases to be inspiring. Even now there are so many companies, individuals in that country churning out great products, services and ideas. When I look at the work ethic of Americans its much better than an average Indian. I don't intend to belittle India but we still have a long way to go. The most beautiful thing about humans is that we can create wealth by our enterprising nature and Americans have showcased this to the world in myriad ways. I am in no way against America, and in fact even the technology we are using today is a result of American innovation and entrepreneurship. Everyone has something to teach us and we can learn something nice from everybody. We should certainly look at the good and emulate it. That is the only way to improve and move ahead. I have read many of the interviews with - Mr. Warren Buffett, what he says is practical and the most important thing is he always predict things right..
First of all, thanks Yogesh for ur blog.. I m very much impressed wid the way you think and approach.. I m in very early stage of my career and got a lucky break to work in BearStearns headquarterin Equities division(IT).. I have seen Bear going from there peak to Bankrupt.. I have been looking some1 like u to tak and share but u no when u speak these things in US, they say "desh bhakti kab se jaag gayi bhai". I m taking abt initiating business in india and wrking towards india growth..
India is way behind from US..There s lots to be achieved there. I agree wid Paul that Americans r way ahead and I have experience that..But u no Indians r not behind but they needs some direction, motivation and support..
Reliance, Tatas, Infy, Wipro, Iflex r all Indians initiative and they have crossed all boundries..They have contributed in every field from NASA to MICROSOFT.. What we need is that even 10% of those MINDS if work for India and India..They ll make a difference and that ll change the community too as well said by Yogesh.. There r so many initiatives coming in last few yrs bcz of which India is changing.There r so many small companies initiated in India by Indians which is helping society..We need many more such initiatives…. I started investing money 1yr back. Even I believe in long term and fundamentals. However I do take help of technicals sometimes. I ve not made money yet but I m sure I ll make good money.. I m looking forward to read ur book very soon..
Once again thanks for this initiative and I m sure we will see many more Happionaire growing in India..
Sandy thanks for your lovely words and congratulations for your your new job. I agree with everything you said. This nation has a lot to do and we will make it happen. There is so much more to be done and that is why there are so many opportunities more. We can do wonders with the right type of motivation and direction. Just one slight thing, we need not just India but the entire world to be filled with Happionaires. At the end of the day we are all humans and we are one. Best of luck with your investing and I'm sure you will do well. every problem or opportunity in life should actually be related to spirituality, be it recession or boom in economy. I don't think the recession is so bad that anyone is unable to feed himself or his family. the recession affects only the secondary requirements of one. one may have to postpone his plans of purchasing a new car or a house. This problem will be more severe with those who do not understand the natural laws of life. One is supposed to be more of a giving nature than taking. in simple economic terms, one should be producing more than consuming, or at least producing equal to his equivalent consumption. But the culture is dying fast, with people wanting more than they need, and doing nothing productive. our ancestors have worked hard and given us this lifestyle, wherein we are able to compute faster with computers, commute faster with planes, they have found fuels, energy sources and machines which allow us to work with ease. But we haven't moved a bit further since then. Alternate energies have been found, but there is no effort towards alteration. Life has it's way of teaching, unlike the way we learn in school. either we change ourselves and start following the natural laws of nature or we will be forced to do it, when the natural resources start falling short than our demand. Human race has evolved from monkeys to homo sapiens, which is only because human beings have followed laws of nature and come out of every bad situation, which has made us grow. It is the best time for us to realize that we Indians can now become self sufficient without relying on economy of America or any foreign country, and start leading the world. This bad time should be treated as an opportunity to all jobless people to start a strong ethical business, wherein they should generate employment and lead others.